Little Miss and I headed to Eastland this week to see the $655 million revamp and Santa's Grotto. Even though the shopping centre isn't completed as yet, parking is a bit confusing and some retailers have not setup shop yet, once inside the centre is pretty impressive. 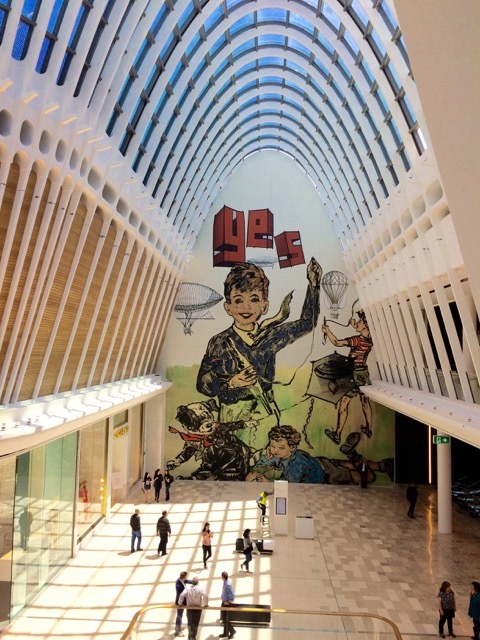 My favourite bit of the centre is all the art by David Bromley. We visited around lunchtime so headed straight to Town Square for a bite to eat. Restaurants like Jimmy Grants, Hunky Dory and Huxtaburger are setup in the area which is well spaced out and relaxing. 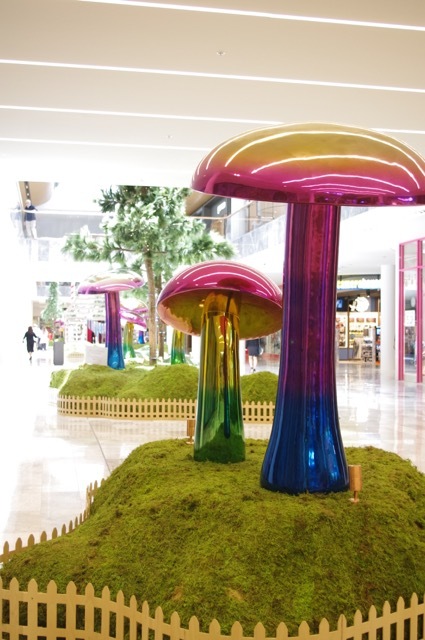 We then made our way to Santa's Grotto by following the magic mushrooms on level 1 Central side leading up to Myer. Little ones can meet Santa or have their photos taken with him. Sensitive Santa will also make an appearance. Little Miss loved sitting on the toadstools and liked looking at the bear and reindeer and was very tempted to touch the moss! The great thing we discovered when we visited Eastland was the parents rooms scattered around the centre. Most of them are not completely finished but they have been well spaced out, designed and equipped. Some of them have little play areas which Little Miss loved and didn't want to leave! We visited 4 out of 5 rooms, these can be found on our updated parents rooms' page. > For more info on Eastland's parents rooms, shops or the centre, head to their website. > For more parents rooms, head to our dedicated page.